In this blog post we’re going to cover all the essentials on how to sell on Amazon step by step. It’s a 10 minutes read, so before we move forward, do some quick neck & back exercises. Feel refreshed? Let’s get the things rolling. 1. Is it Worth Selling on Amazon in 2019? 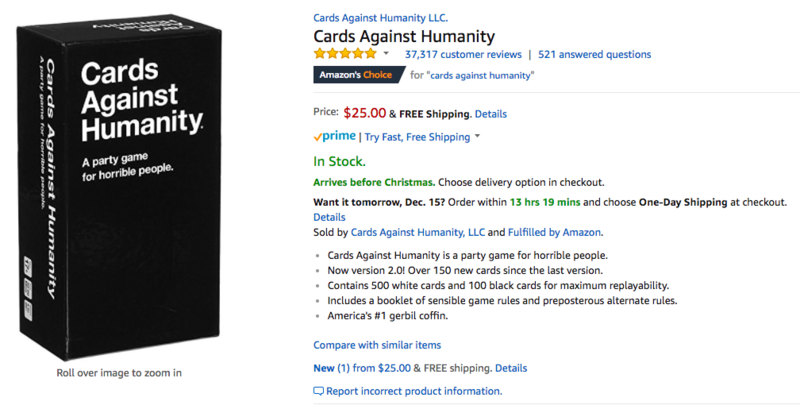 Why Selling Products on Amazon in 2019 Is Still a Good Business Idea? More and more buyers are tasting the sweets of shopping online on Amazon. It’s beaten eBay in terms of traffic and is still growing like crazy. Everyone benefits from this growth. But most of all, the third party sellers do. The independent sellers account for over 45% of total number of items sold on Amazon worldwide (120m different items). Moreover, their sales are growing faster than those of Amazon itself! Registering as an independent seller on Amazon is a great online business opportunity. We encourage you to seize it. If you’re not a risk taker, study the guide to selling on Amazon to fuel your Amazon business and gin up your first sales there. How Much Does It Cost to Sell a Product on Amazon? The pricing scheme is the same everywhere. Yet, the exact rates, limits and fees vary by country. In the USA, Amazon offers two selling plans. The Professional one costs $39.99/mo plus per-item selling fees, which vary by product category. The Individual plan has no monthly subscription fees. You pay $0.99 per item sold plus other selling fees, which also vary by category. The Amazon referral fee is paid every time a sale occurs. It may be from 6% for PC goods up to crazy 45% for Amazon Device Accessories, but in average, it’s about 15%. The same scheme exists on Amazon.co.uk, Amazon.de and Amazon in France, with the slight differences in pricing, since Amazon will charge you in different currencies. $2.7 here, 1,5% of the transaction total there, first, second, third fee applied, altogether, inevitably decreasing your net benefit. But is anything left for YOUR pocket? When I was looking for some decent material to publish a success story on our website, I had interviewed one of X-Cart store clients. He is running a successful men’s fashion business in the United Kingdom. This smart entrepreneur was one of the first to go omni-channel. He was listing the products on eBay and Amazon. Co.uk, de, fr… Domain by domain. He said, each new Amazon listing increased sales by 25%, in average, and… went on adding new channels. First of all, you need a Seller account. Registration is fast. If you are planning to sell less than 40 items on Amazon, start from the Individual plan with no monthly subscription fee. 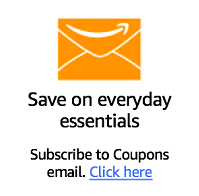 Subscribe for a professional Amazon account that will cost you from $39.99/mo if your range of products is wider. Second, you will need a GTIN (Global Trade Item Number), if you create a new product page on Amazon. Usually in the form of a UPC code. Based on the UPC code, Amazon will generate an "FNSKU" (Amazon’s proprietary barcode that will be printed on the packaging) for your products. You don’t need to print a barcode sticker to sell on Amazon, all you need is the number. You may see recommendations to purchase UPCs on eBay, but this is a slippery slope. You may pay for the ones that have never been verified to be legitimate and unique. There’s a safer way to obtain a product code, according to Amazon. NOTE: if you plan to sell the products you manufacture, consider ‘Amazon Brand Registry‘. In this case you may be granted the permission to list your products on the Amazon marketplace without UPC. Third, you need to list the products you plan to sell. If the product is already sold on this giant marketplace, your only option is to map your product to an existing one. The point is, Amazon allows to list product just once in the Amazon catalog. Creating a duplicate of an existing product leads to removing your copy. If you’re selling a unique product on Amazon, you will need to create a new product listing for it. I know, I know. Picking up a unique product is a hard task. That’s why my colleague has collected a bunch of simple tips to find a product to sell on Amazon. Amazon allows to manage listings manually and in bulk. If you’re an individual seller, editing the product information, price and shipping сosts and terms via the web interface of Amazon is the only option. The volume listing tools are available in the Professional Sellers accounts. Say, you may connect your online store to Amazon and export your products to Amazon effortlessly. Forth, you need to take a principal decision how your orders will be fulfilled. The options are by your own means ("Merchant Fulfill") or by Amazon ("Amazon FBA program"). In the first case you keep the items in your own warehouse. When an order comes, you ship the items directly to customers. You can mail your order with any carrier and method, as long as the buyers receive their envelopes within the timeframes you promised. Note that Amazon doesn’t allow newly-registered merchants to offer expedited shipping methods like two-day delivery right away. You are to earn this right by establishing a history of reliable shipping at the slower shipping speeds. If having expedited delivery is crucial for your selling strategy even at the early stage, it’s a reason to consider "Fulfillment by Amazon". When you sell a non-unique item on Amazon, a single product page will be shared by all sellers. Your item (or, to be exact, the “buy” button, that will add your item to customer’s cart) can be displayed in either the “Buy box” or in the “Other sellers” section of the Amazon product details page. 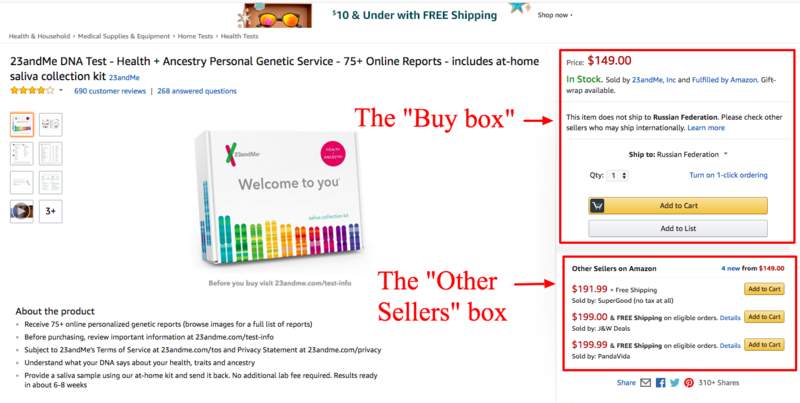 In the example above, it’s "23andMe" who is lucky to be a "default" Amazon seller. Their item will be added to shopping cart, unless another seller’s item is explicitly chosen by a customer. If there are 3+ sellers, which is not uncommon, you can be moved even further from the potential buyer. The buyer will need to click to view all the available offers listing this product. Chances are, “other sellers” will also see orders coming. But getting into the Buy box is a golden key to success on Amazon. The exact algorithm of how Amazon chooses the seller to “feature” is not disclosed yet. Probably it considers buyers location, history of purchases and so on. And that’s one of the reasons why all the guides to selling on Amazon are so drastically different. Amazon FBA again. What a dish is it and what you eat it with? Let’s study this with the due diligence! All roads lead to Rome Fulfillment by Amazon (Amazon FBA)! If you are still not sure how to start selling on Amazon, here’s the fuss-free solution for you. 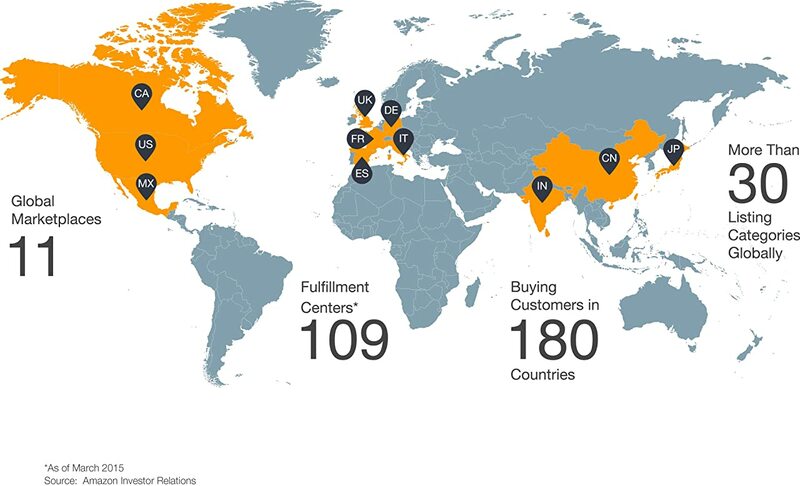 Just sign up for Amazon’s state of the art fulfillment network, this will help you receive more orders through Amazon’s marketplace and succeed in it quicker. Amazon is prioritizing your listing among the other sellers who pack and ship the orders on their own. Another lure for the merchants to sign up for Fulfillment by Amazon program is to get access to an extra segment of shoppers. These are Prime members, estimated 50M users. This heavy segment of Amazon buyers pays $99/year to have their orders delivered within two days or less. For Amazon Prime Now this is a matter of hours. Obviously, Amazon can guarantee this delivery at supersonic speed only if it handles orders fulfillment. They have even created an Amazon Revenue Calculator to compare how much you earn and could earn depending on who fulfils your orders. Spoiler: FBA often wins in this battle. But insert your own data and check. Just out of curiosity? Amazon takes on the task of products storage and orders fulfillment. Long story short, it works this way. You are to choose the right product that will always be in demand on Amazon. Set the right price that covers your costs, arrange product shipping to Amazon’s warehouse and start making money not lifting a finger any further. If you don’t want to deal even with logistics and customs clearance, you may outsource all this headache to a Amazon’s Freight Forwarding Service provider for a reasonable price. By the way, if you try to google for a complete list of Amazon FBA warehouse locations, you will find no official info from Amazon. But the huge community of sellers needs this info. Housing inventory in some state gives "sales tax nexus" to the seller in that very state, and storing your goods in Amazon warehouses is not an exception. So there exist "alternative" lists, based on the scraps of information picked up from "independent research, news stories about new fulfillment centers, interviews with current FBA sellers, and even postings on Amazon’s job boards". You register an Amazon Seller Central. 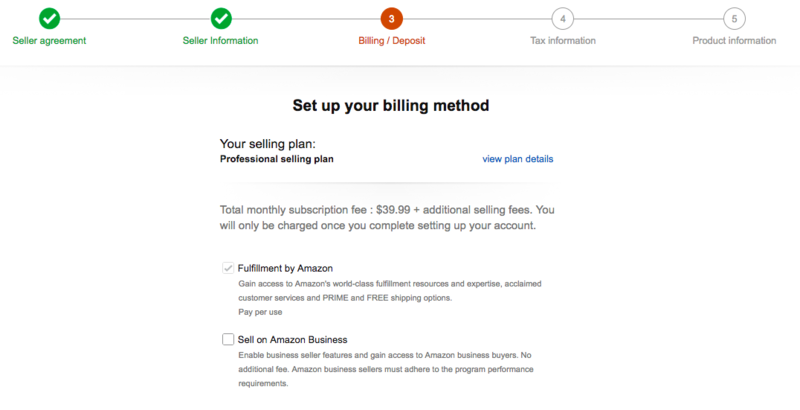 Editing your plan on the "Set up your billing method" step, tick “Fulfillment by Amazon”. You choose the product to sell. Check for FBA product restrictions to make sure this product is allowed. When you’re ready to send inventory to Amazon, create a list of products that you want to send to Amazon fulfillment centers. This list is called a Shipping plan. Listing the product, you specify where you will ship the item from. Amazon uses this info to "assign" the Fulfillment by Amazon warehouse for you to ship the products to. You don’t choose it. You box up and ship your products to the Amazon FBA warehouse in bulk. Your only purpose is to deliver it in a proper condition and in the most cost-effective way. Amazon’s stuff unpacks everything and verifies that the right items in proper condition and quantity have been received. Your listing is being activated and you start selling on Amazon at this very second. Your share of the sale is deposited to your seller account. It is made up of the selling price minus Amazon’s fees. An email notifies you every time when this happens. Biweekly, the deposit from your Amazon seller account is sent to your bank account. Sounds like a job of a dream! It really is for many. Amazon does a great job making it attractive for sellers. The incentives are strong. Will you probably join the club and start selling online with Amazon, too? Just choose the right product to sell. I’ll tell you how. Generally speaking, you can sell everything but restricted items. There’s a list of prohibited products, generally referred by Amazon as "illegal or unsafe". Hazardous and Dangerous items, certain Tobacco-related products, Weapons and related items, Alcohol, unless you’re a pre-approved wine seller. Keep in mind that certain product categories require you to obtain pre-approval from Amazon before listing in those categories. The examples are collectibles, wine, watches, video, etc. In fact, you can’t sell real estate, pets, cars, too. You may not sell used clothing, shoes or handbags. No used jewelry or watches either. Even though they seem pretty safe and legal. Doubt whether your product will be considered by Amazon "legal and safe" enough? Start studying the Category, Listing and Product restrictions from here. But "what you can sell on Amazon" is only the first part of the question. How to discover profitable products to sell — that’s what one really wants to know, registering an account in Amazon Seller Center. You may do Amazon product research manually or sign up for a service like Jungle Scout to pinpoint the best products to sell. What item is likely to bring more orders to an Amazon Seller? By the way, where did you get it from? Where Can You Get Items to Sell on Amazon? First of all, you can try the approach called Retail Arbitrage. Its concept is simple. You buy a product in a retail store at a discount and resell it for a higher price on Amazon, putting the difference in your pocket. The main challenge is to find the best deals. For some reason most of experiments that I read about mentioned Target. Say, this one describes an experiment with a $150 budget and $100 profit. But Target doesn’t like being a Retail Arbitrage Supplier. They’re strongly against resellers, so be careful, or be you will be banned. Retail Arbitrage seems to be an acceptable scenario for a business startup with little to no budget. But flipping the products this way you will have limited opportunities to grow. If you can stand firmly on your two feet, you should consider the alternative ways of selling products on Amazon. Try to find an item that is selling online well but have something to improve. Now create a better version of it. There are many readily available white-label products that you can rebrand, or Private-label, and sell on amazon.com. Note that you CAN’T private label an existing brand, or you would get into serious trouble. Trademarking and intellectual property laws protects brands from cunning bastards, cherishing such an idea in their evil minds. You must get in touch with a supplier and make sure that the product is truly a white-label product (or “generic”) and you have legal right to private-label it. You may put your logo on it, pack the product in your colors and sell it on Amazon. It will be a simple rebranding, which may work fine if the competition is low. You may also alter the product itself, making it physically different from what your competitors offer. Unique colors, extra features. Some manufacturers agree to do that on their side too, so ask if this is possible when you’re negotiating the contract. How to find wholesale suppliers and manufacturers who sell white-label products? This article contains a brilliant video with spoon-fed answers to all the questions around the topic. Even though you will need some initial budget to sign a contract with a white-label product supplier, this still can be a very profitable route to take. Start your own brand and invent your product from scratch. Manufacture it on your own or outsource the task to a professional supplier. Pack, take professional photos, create irresistible product descriptions and work your arse off to market it on Amazon. It’s a bumpy ride, but test-driving your product on Amazon is one of the quickest way to see its potential. Amazon is called the largest world Product Search Engine. A9, the search engine that powers Amazon search, is evolving constantly. What worked two years ago no longer works now. That’s why Amazon SEO is the task you will have to return from time to time, revising your strategy. But as of now, I’ll tell you the best (and safest!) practices for your Amazon listing optimization. According to Amazon, it’s not only copywriting, that determines where your product appears in a customer’s search result. Price, great customer service and your history as a Seller on Amazon also contributes. But the role of building a solid listing is still extremely high. make sure the title reads naturally, yet contains brand, all of the essential elements of the product along with target keywords. Don’t keyword stuff them, choose and insert the most relevant keywords instead. Make sure you’re populating as many relevant terms as possible. Use Bullets. Words in the bullets don’t carry as much weight as those in the title do. Yet, they will be indexed by A9 too. Amazon’s search engine will at least take them into account, choosing what to return to the customer in the search results. Backend Search Terms. These terms get indexed too. They are not visible to customers. Write misspellings, slang, Spanish/French terms and other words that are commonly used in your niche, but not 100% fitting the “public” texts like title and description. Photos. It goes without saying that high quality photos increase conversions. Better product sales directly impact the product’s rank in search results. Amazon also instructs to upload images larger than 1000×1000 pixels, explaining that “Zoom has proven to enhance sales”. Besides, some experts also point out that the number of photos matters too for Amazon’s search algorithm. Real Product Sales. Nothing lifts your product in the search results better than its actual sales. Keeping it in mind, you can try a gimmick. Drive external traffic to your product and convince Amazon that your product is what customers buy eagerly. Google Adwords, posts and ads in Social Media, email marketing campaigns — these are common ways to drive external traffic to your Amazon listings. Reviews. Due to Amazon’s efforts penalizing fake reviews and encouraging the sellers for real ones, they are extremely credible. Doing a product research, people read reviews. When they’re positive, all from verified buyers, with photos and real people behind them, the product sells better, and that’s exactly what Amazon LOVES. So, 1) work your arse off to impress your buyers with your product and customer service, then 2) incentivise them to write about their great experience. I cannot but mention here our massive guide on how to sell products online. I recommend you to read it from cover to cover, but if you are in a rush (as all of us! ), you can run through the last paragraph only. Amazon PPC is a reliable way to drive internal Amazon traffic to your listings. Depending on the type of the ad you choose, it will show below the search results, above the search results and on a related product detail pages. Advertising on Amazon is auction-based, so you’re to set the bid and daily/campaign budget. The more competitive your bid is, the more likely it is that your ad will be displayed. The minimal bid is $0,02 for Sponsored products and Product Display Ads, $0.10 for Headline Search Ads. The minimal budget is $1.00/day for Product display and from $100 for the entire campaign of the other two types. Sponsored Products is probably the simplest way to get started, but study this Amazon’s page about advertising basics to have a better understanding of what else you can do and how. "Legal" ways like optimizing your listings for Amazon and running Ads may sometimes not be enough, so the most dexterous merchants are starting to look for additional ways to gin up their Amazon sales. Amazon shoppers are looking for good deals. When they see a fair discount, your product sells well. Many sellers have all their items "on sale", all the time. Say, set regular price at $49.99 and sale price at $24.99. The customers feel like they have found a good deal (half price!) and… buy it with triple speed and energy! Price is a pretty much determining factor in winning the Buy Box or not. Check what your competitors are selling your product for and offer to sell and ship it for just one cent less. Note that this penny-pinching strategy is not a secret weapon of yours. The other sellers are well-armed too, so you may very soon discover that their price has gone another cent lower. Moreover, there even exist automation tools called Repricers. Sellery, SellerEngine Plus, RepricerExpress are among the most popular ones. Note, If you notice that a competitor has "accepted your challenge to battle in the penny-war", you may choose not to BEAT this competitor, but just MATCH the price he sets. Racing to the bottom price decreases the margin, and none of the sides wins from it. This can jumpstart your sales, if you’re competing in a tough niche. The coupons are popular among the shoppers, so they’re not pitched around the website too actively. They’re on their dedicated Coupons page. The coupons have their own "Sales rank", just as your products do. It means that the more popular your coupon is, the higher it will be shown, the more sales it will generate. Having their own sales rank also means a downside. It does not affect the Buy Box pricing logic <sigh…>. It won’t help you in winning the Buy Box, no matter how low your price will be after the coupon applied. VPS is a paid marketing tool. 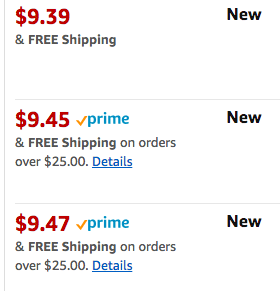 Amazon charges a Redemption fee of $0.60 for every redemption. If the coupon is only clipped, but not redeemed, you won’t be charged. Note that this marketing opportunity is available in Professional Seller accounts only. You can create VPCs in your Amazon Seller Central. Set a maximum budget and the coupon will turn off automatically as soon as it the budget is spent. If you have your own product to sell online, you may consider selling on Amazon as an EXTRA sales channel, not as the ONLY one. Going omni-channel has been a trend in eCommerce business, and that’s not for nothing. This integrated approach is a proven way to reach more potential customers, hence — to sell more. Advertise your product on Amazon to drive targeted traffic to your site: motivated shoppers with their purses open and credit cards prepared. Btw, there’s a separate guide on omni-channel retailing in our blog. You will learn how to use this new hot strategy and what on earth this schmancy buzzword means. Still Wondering How To Sell On Amazon? If you have read this beginners guide up to the end and still have doubts whether it’s yours to sell there or not, that’s okay. Getting out of the comfort zone is what our mind fiercely resists. It adduces heaps of reasons not to. But what risk do you take if you try? Money? The beginner, getting started on Amazon, needs about $1K. If you’re going to spend $5K, you’re probably overspending. Time? We’re speaking about several hours of active work plus several days of passive waiting for results. In the best scenario, you will start your own successful business on Amazon. In the worst case you will know that you have at least tried and it’s high time to move to another channel, eBay or Facebook, for example. In both cases, the price you pay seems affordable. If an idea to sell on Amazon has ever come to your mind, it’s time to bring it to life.